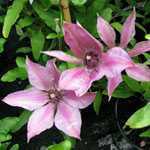 Clematis 'Black Prince' has striking medium sized flowers coloured deep red/purple that bloom from early summer to early autumn. 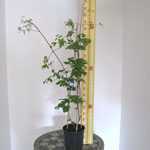 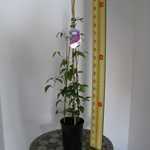 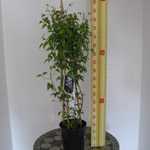 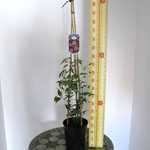 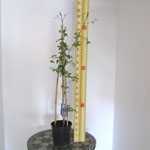 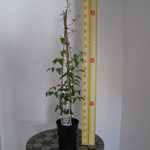 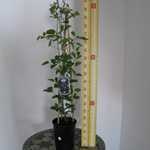 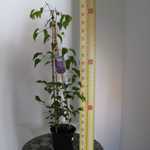 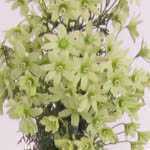 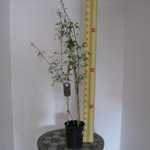 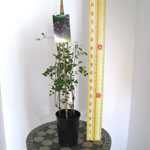 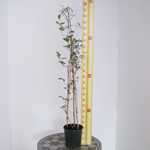 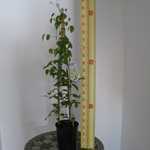 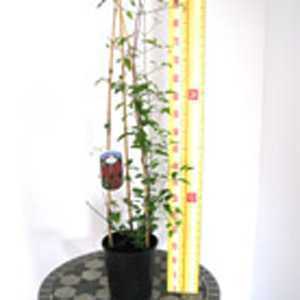 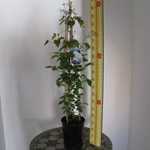 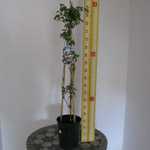 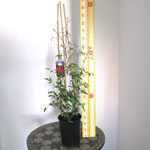 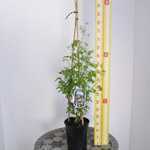 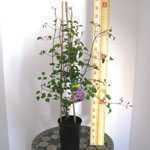 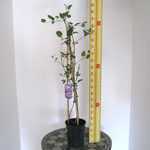 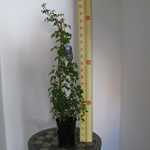 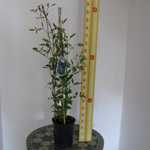 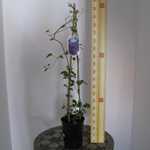 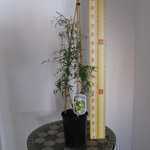 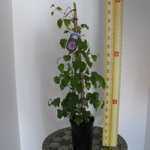 Ideal for growing against a wall or trellis. 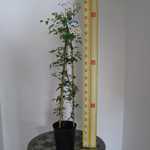 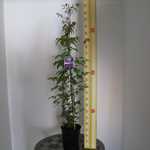 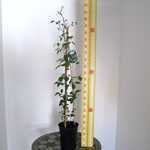 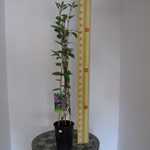 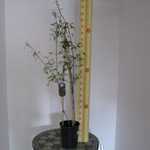 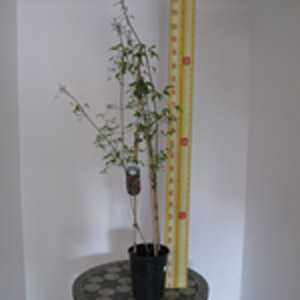 Water regularly during periods of dry weather in the first few seasons after planting. 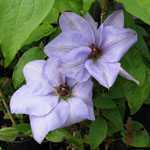 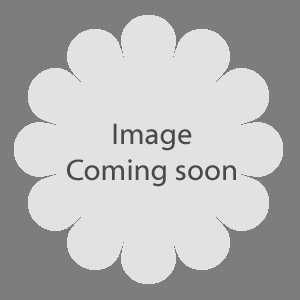 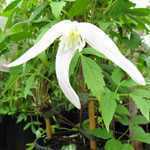 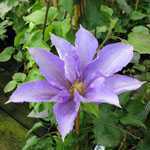 Clematis climb by twisting their leaf stalks around supports, so it is necessary to provide some form of support when growing against walls and solid fences such as trellis or mesh, for the clematis to twine around. 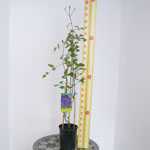 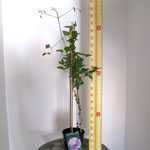 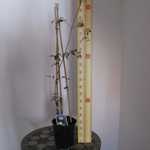 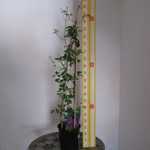 Ensure the support protrudes from the wall by at least 2.5cm (1in), to enable the climber to scramble over it. 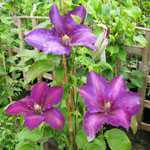 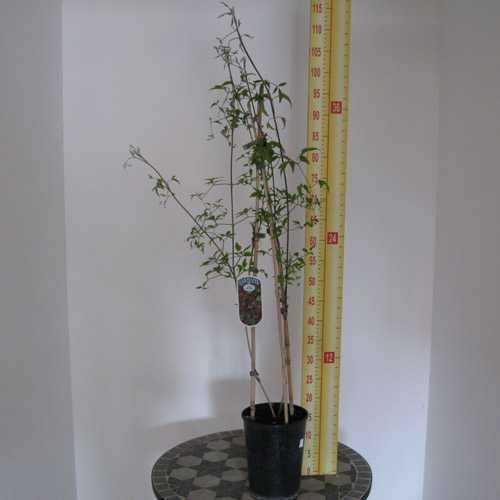 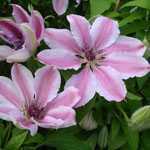 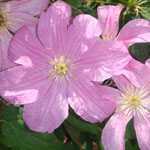 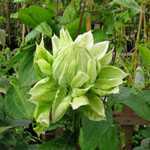 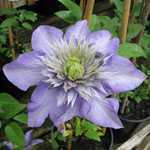 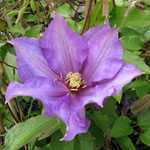 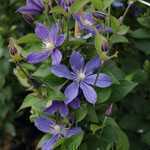 To avoid the development of a straggly single stem and to encourage branching lower down, cut back all newly planted clematis to 15-30cm (6in-1ft) from ground level in February or March, cutting just above a bud. 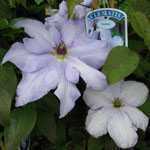 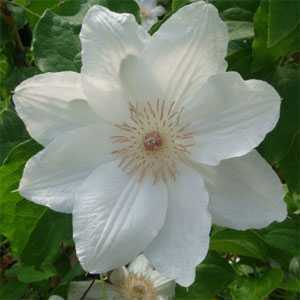 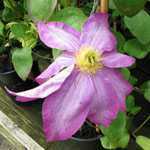 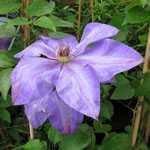 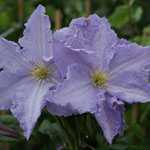 The key to growing clematis is to keep the roots cool by shading them with low perennials, ground cover or mulch.